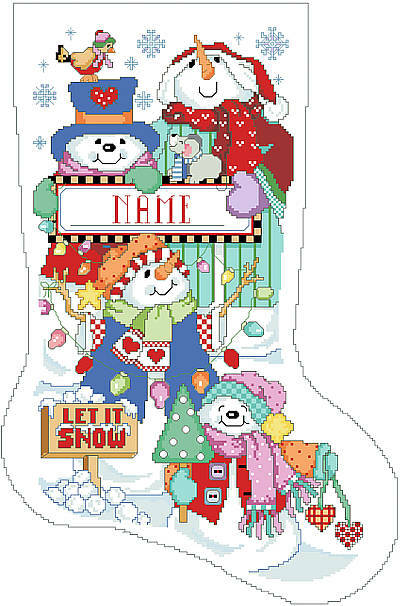 Cutest little snowmen to be found on this stocking designed by Linda Gillum. Linda’s trademark ‘cute’ style is captured here in the faces and character of each of these delightful snowmen. Contents: Stitch Count 133w X 224h, Fihished size on 14 ct 9-1/2" X 16"